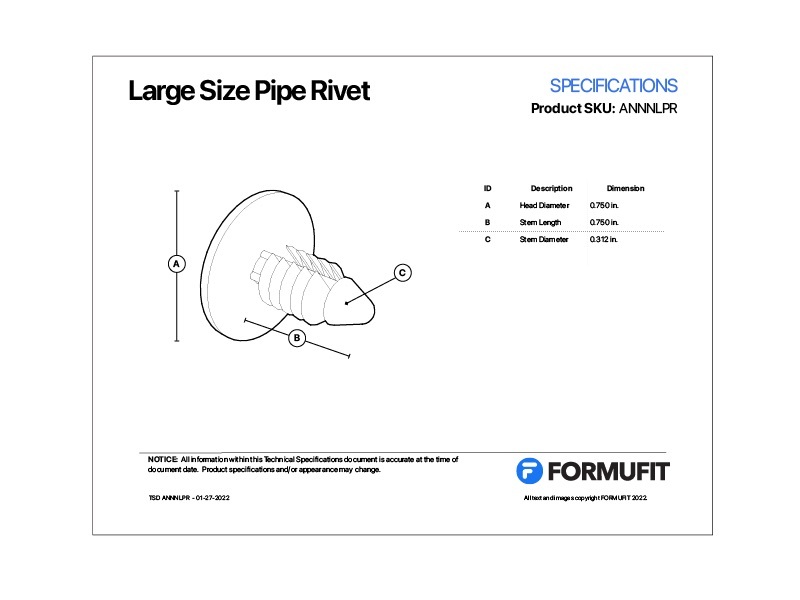 FORMUFIT PipeRivet Fastener Kit is a handy, easy to use kit that is perfect for attaching PVC Pipe and fittings together without the need for PVC cement or screws. 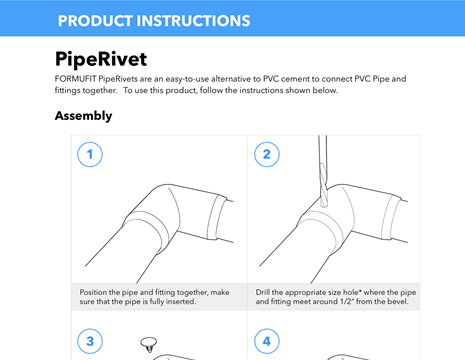 The PipeRivet fasteners are made from durable nylon and are easily inserted by drilling a hole between pipe and fitting and tapping the PipeRivet into place. This kit contains 20 PipeRivet fasteners and a 1/4" hex shank drill bit suitable for large diameter pipe in the 1-1/4" to 2" size.